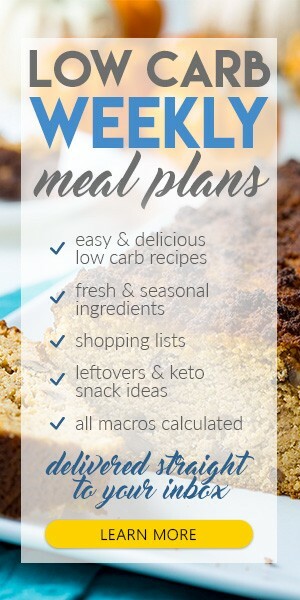 If you have started on the ketogenic diet, you might already know one of the biggest challenges for keto dieters is meal planning. Knowing which keto foods to eat and when is important. You know about restricting carbohydrates, getting enough healthy fats, and a moderate amount of protein. But, few of us have the time and resources to meal plan the right way and stick to our low carb high fat diet. So today, I’ll be doing a mini review of two amazing keto diet 30-day programs by Leanne Vogel of Healthful Pursuit, as well as one subscription-based meal plan. Firstly, let’s start with probably two of the best ketogenic diet books you will ever come across. Both include a 30-day keto diet menu too. The Keto Beginning is a complete in-depth guide to keto as well as a 30-day meal plan for beginners. I love Leanne Vogel’s writing style and I found the guide very easy to understand. If you are tired of feeling exhausted, sluggish, and not feeling good about your body and yourself, and having an unhealthy relationship with food. If you are seriously ready to change your way of eating and get the results you’ve always wanted. If you want an easy to understand keto guide and a simple 30-day menu that will get you in fat-burning mode quickly. If you want to ditch the guilt of eating badly and instead enjoy tasty wholesome foods all planned out for you. Get The Keto Beginning here. Fat Fueled is basically the second-step to The Keto Beginning, and it includes another 30-day meal plan for keto fat burning. The difference between The Keto Beginning and Fat Fueled? Well, Fat Fueled is an even more valuable resource in my opinion. Leanne teaches a holistic approach to fat burning without going strictly low-carb. She talks about the importance of carbing up once a week, especially for women, how to use intermittent fasting to bust through weight loss plateaus and much more. If I had to choose out of the two, I would go with Fat Fueled, simply because it’s not just about going keto. It’s packed full of helpful tips and guidance for healthy living both in mind and body. And I love that about this program! I can’t list all that it includes in this post, just because it’s too much. I recommend taking a look at what it covers by clicking here. Now, I found it hard to pick one over the other. But the good thing is that they are sold in a bundle at 15% off. Click through this link to get 15% off today. At Try Low Carb, they know that lack of ease and lack of variety are the two main reasons people fail at keto. For this reason, they have created one of the best weekly meal plans for busy people. These plans are sent straight into your inbox every week. Well, you made it to the end! I am certain you will find one of these meal plans (whichever is best suited to your needs) very effective in helping you burn fat quickly and efficiently.